One out of three people in the United States is diagnosed with cancer sometime during their life. Cancer steals lives and devastates families each day; chances are, most students can name a loved one who has suffered from the disease. However, cancer is not unbeatable. New treatments and medicines are constantly being developed, and incredible researchers are committed to searching for a cure. Images from last year’s Relay for Life event. This weekend, the American Cancer Society’s Relay for Life will come to campus, providing an opportunity for students to participate in the fight against cancer by raising money and awareness. Relay for Life began in 1985. Dr. Gordy Klatt, a surgeon in Tacoma, Washington, resolved to circle a track for 24 continuous hours. His motive? Fundraising for his local cancer charity. His day-long vigil raised $27,000; and the next year, his family and friends joined in. Today, Relay for Life is a global movement, with over four million participants in 20 countries. The university has participated since 2009 and plans to continue for decades to come. 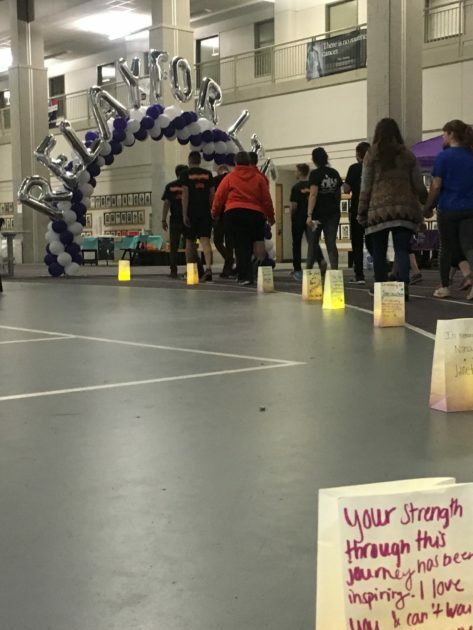 This year’s Relay for Life will be held in the Capital University Field House at 12 p.m. on April 6 until 3 a.m. on April 7. 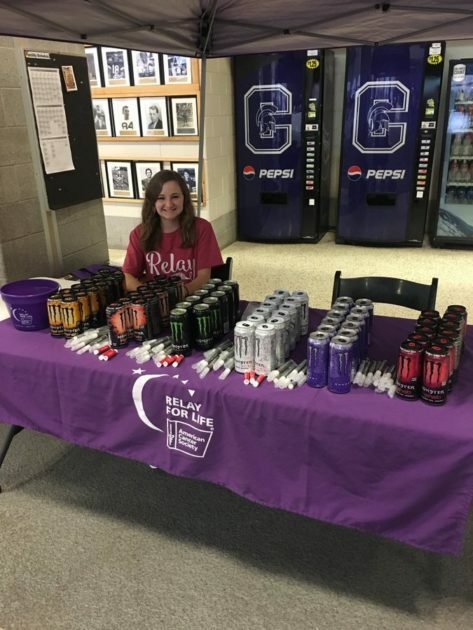 Seniors Carly Messina and Anita Seeholzer, the co-presidents of the student organization Colleges Against Cancer, have worked tirelessly to coordinate the event. During the Relay (this year’s theme is Dr. Seuss), participants will be divided into teams, and at least one team member will be walking around the track for the entirety of the 15-hour event. “Cancer does not sleep and neither do we,” Messina said. In addition to walking and fundraising, there are countless fun activities planned, including performances by campus organizations, a character artist, and inflatables. While all participants are sure to have an entertaining night at the Relay, it is important to remember its true purpose. In order to raise awareness of the struggles that cancer patients and their families face, a cancer survivor is coming to speak. Fundraising is also a major part of the night-long event. All money raised goes to the American Cancer Society, whose work toward ending the disease is crucial. Since the charity was founded in 1946, they have donated more that $4.8 billion toward funding cancer research, enabling groundbreaking and lifesaving discoveries. The American Cancer Society also offers current cancer patients support, providing them with rides to chemotherapy treatments as well as lodging when it is necessary to travel away from home. 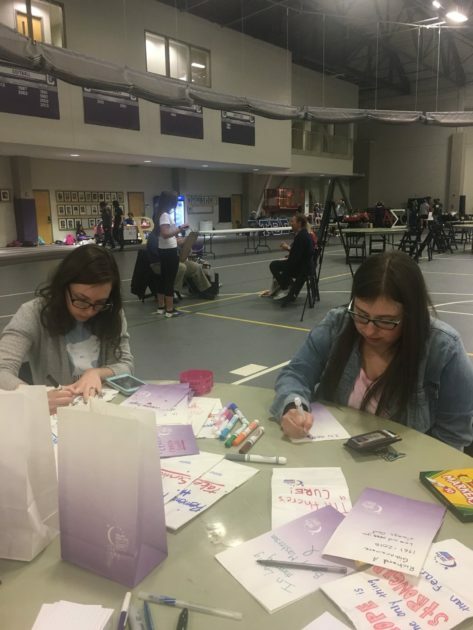 Relay for Life is ultimately a way for Capital students to enjoy a night with friends while also supporting a worthwhile cause. Registration for Relay for Life can be found at relayforlife.org/capitaluniversity or at the door on the day of the event.